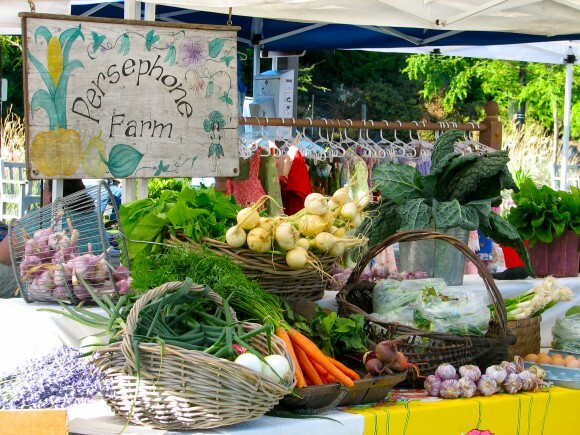 Persephone Farms at the Bainbridge Island Farmer’s Market. The last outdoor Farmer’s Market is in a few weeks on November 12th, and the market has had a great run this summer and fall. The addition of the local chef’s series added a fun flair to an already enjoyable Saturday morning routine. I get pretty addicted to the fresh greens and eggs and although many things are seasonal, yes, the market will go indoors on the 19th of November and run until December 19th at the Eagle Harbor Church on the corner of Madison and Wyatt Way. Know that in addition to the Farmer’s Market, the island has several places to pick up local food year-round and a great resource for those farm and vendor locations is SoundFood.org, another one of my favorite sites. I live really close to the grocery store, so when we initially moved to the island I did not feel like I could justify the milk delivery. Cute as that Smith Brother’s cow-print truck might be, it cost a little more, and eh, I didn’t think I really needed it. However, when my neighbors went on vacation, they let us have their milk. One gallon and we were hooked. Our little family drinks a lot of milk and this milk is just plain better. I signed up for delivery and I must tell you I love the small convenience of getting all my milk delivered to our cool milk box once a week. And beyond milk, they have staple items like bread, butter, cheese, coffee, creamer, cookies, etc. If I want to add something to my standing weekly order, I just email and add it on the night before, love it. If you don’t live close to the store this would be more than a small convenience, I think it is a must do. There are a lot of great places to get lunch on the island. Many of them are in Winslow, but a restaurant I did not find until living on the island for a few years is the New Rose Cafe’ inside Bainbridge Gardens. Much of the seating is outside, but they do have a warm spot for the winter months too. The salads, particularly the ‘No Name Salad,’ are generously sized and chock full of fresh, local produce, nuts and cheese. Angela, the owner, also makes some amazing wood-fired pizzas, not to mention the chocolate chip cookie slabs, the mochas, and smoothies. Tucked away in the Bainbridge Gardens, it might not be on your radar yet, but it will be. I am a regular. Their phone number is in my phone because I love to stop by for take-out too. Rockaway Beach Park on Bainbridge. Not all of the trails and beach access points on the island are well marked, but they are out there. One of the best “hidden”spots on the island is the Rockaway Beach Park. Just a few parking spaces on the side of the Rockaway Beach Road, you could drive right by and not even notice it, but once you get down to the beach it is a great spot to explore tidepools while taking in the views of the Seattle skyline and ferries. On my blog I talk a lot about Lytle Beach Road, a road’s end public beach, one of the best on the sunny south end. We love the paddle boards and chairs already there for the locals to use. And the trails, the Forest to Sky starting out in Battle Point Park is a great one, along with the loops in the Grand Forest and the trails from Fort Ward to Port Blakely. If you have not seen the Island Guide to Walking, Cycling and Paddling, you must check it out and bookmark it on your computer. It is currently out of print with the city. 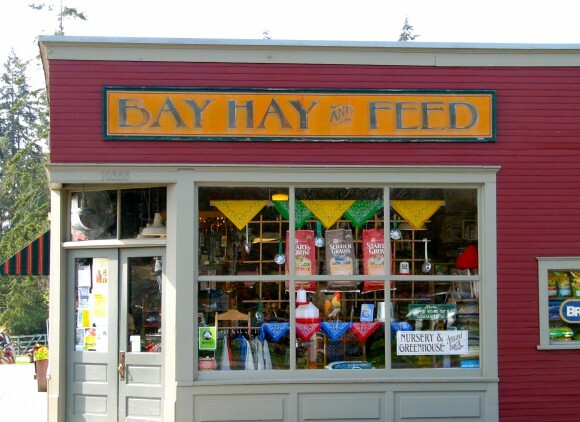 Bay Hay and Feed Store in Rolling Bay. The first winter in the Northwest can be a bit of a shock weather wise, especially if you are from a southern state. I am not talking about the grey, which yes, can be a downer at times. I am talking about the need for rain gear – times 4, for a family of four. Coming from California we did not really have rain jackets or rain boots. We had jackets that looked like rain jackets, but they were simply for looks, they just soaked that rain right up. No, we needed rain gear. In the beginning I drove to Silverdale for a lot of stuff before I realized you can get pretty much everything you need on Bainbridge (or through Amazon – get the Prime Account if you don’t have it already). It took me at least a year to realize I could get my rain boots and gear at Bay Hay and Feed. They have a huge selection and more importantly they have SmartWool socks. Expensive as those little suckers may be, they are a necessity during the long wet winters. Cold toes no more. And I think I waited a season before I broke down and got the NorthFace rain jacket. But I wear that darn rain jacket almost daily through the winter – and now we all have them. And, like many others on the island, we look like a North Face ad. Welcome to life in the Northwest. Not too long ago a friend of mine who has lived here for over two years said she had never been to Fort Ward Park. I was shocked. Fort Ward Park (having formerly been Fort Ward State Park) is on most maps. There are a lot of cool, little known places to walk and hike, but this one is easy to find. Yet, I think my friend is not alone in having not explored it. I talk about this walk/run in an older post about jogging routes, but thought I would add a little photo essay. Most of these are taken with my iPhone. Click here to see the older post and a map of the route. At least three times a week I will do this 3.5 mile jaunt from the boat ramp at the Fort Ward Park entrance to the bitter end of South Beach, past Toe Jam Hill Road. It is a flat, mostly paved walk, easy to run or walk with kids. Unlike the track at the High School, this route is a visual feast. Most of the walk is along the water or via gorgeous waterfront homes. 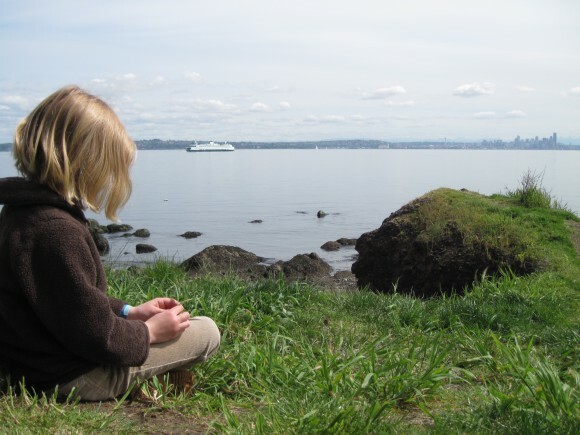 You will see one or two ferries, eagles, cyclists, the ever changing natural landscape, the fish hatchery, and at least three or four friendly dogs. Toward the end of the walk is the ‘dog water ‘ stop below, I often wish they had ‘human water’ too. 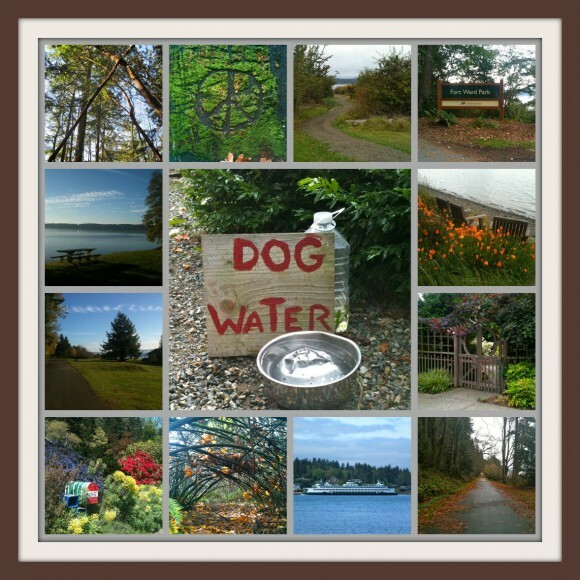 But, the dog water is cute, quaint, and so Bainbridge. Oh, so glad we went last weekend . 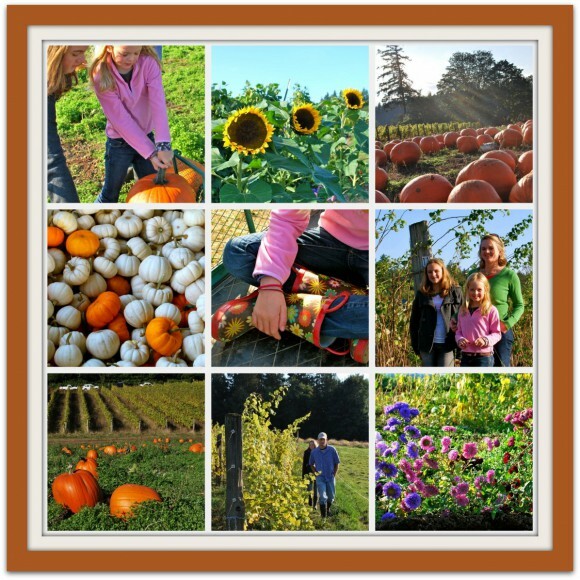 . . the weather was perfect pumpkin patch weather. But, if you have not gone, it looks like there will be some sun out on Sunday afternoon, but bring your rain (mud) boots after our recent damp weather. Click here for a list of Pumpkin Patch Locations On and Beyond Bainbridge. 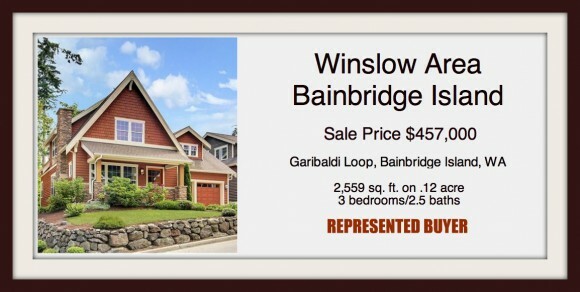 I just helped a smart buyer client close on this great home near the ferry on Bainbridge Island. This home was purchased as a rental investment property. The location near the ferry, popular Craftsman style, and newness of the home will make it a popular, easy to lease home. Typically many of my clients are families new to the island, but increasingly more of my buyers are local investors or second home buyers. With the current market of deceasing home prices, record low mortgage rates, and a segment of the population unable to purchase homes due to unemployment or damaged credit from a recent foreclosure or short sale – purchasing homes as rentals is increasing in popularity. In the next two years, real estate investors are expected to outnumber traditional homebuyers in their local markets by three to one, and 56.5 percent plan use their investments as rental properties, according to a national survey conducted by Move, Inc. On Bainbridge Island, agents are seeing that survey prediction come true. Right now 80% of my buyers are either investors or second home buyers – a huge shift for my business. With 30 year conventional mortgage interest rates hovering around 4%, investment property interest rates are below 5% at 4.75% today. And, in addition, many of the investor buyers are buying with cash, seeing the value in that large pool of renters out there right now – even when the low interest rates are not an added incentive for them to buy. With the current economic and housing climate, putting a rental or two in your investment portfolio makes a lot of financial sense.